Whereas much of the current literature on pastoring stresses up-to-date training and new techniques stemming from the behavioral sciences, Eugene Peterson here calls for returning to an old resourcethe Bibleas the basis for all of pastoral ministry. Pointing to the relevance of ancient wisdom, adapting Jewish religious tradition to contemporary pastoral practice, and affirming a significant link between pastoral work and the act of worship, this book opens up to pastors a wealth of valuable practical-theological insights. 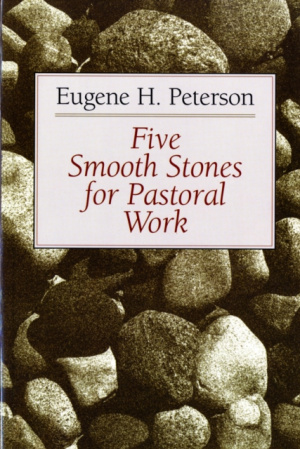 Five Smooth Stones for Pastoral Work by Peterson was published by Eerdmans Publishing Company in January 1959 and is our 16773rd best seller. The ISBN for Five Smooth Stones for Pastoral Work is 9780802806604. Be the first to review Five Smooth Stones for Pastoral Work! Got a question? No problem! Just click here to ask us about Five Smooth Stones for Pastoral Work.